Our custom home theater recliner combines contemporary design with the ultimate comfort from a fully reclining frame with lumbar and full leg support. It features top grain leather in all touch areas. Modular designs, storage arms and removable table are available on HT Plus. Fully reclining frame for complete lounging comfort that reclines just inches from the wall. Two stainless steel cup holders. 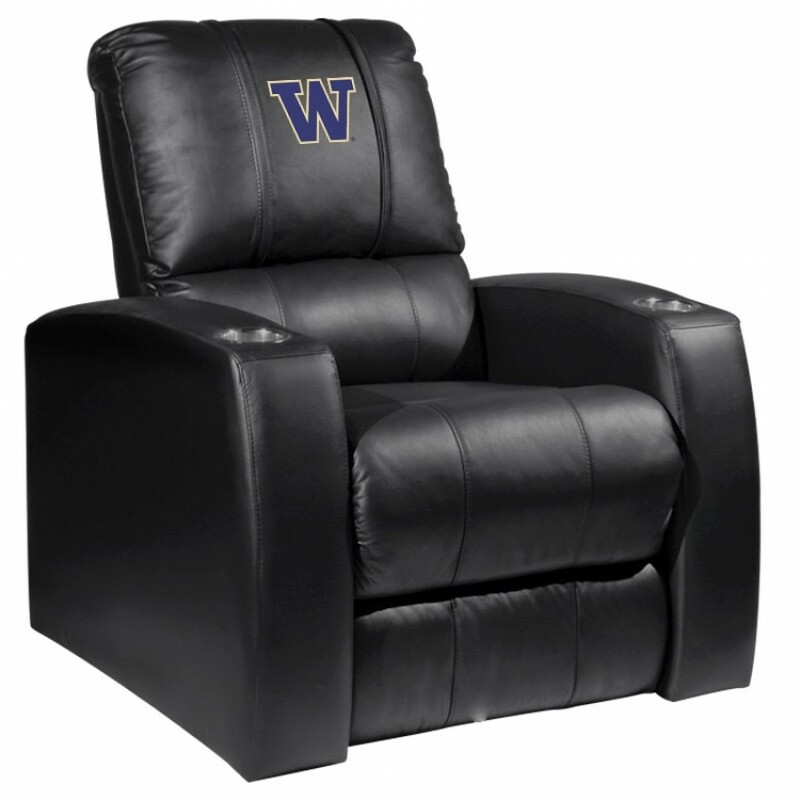 Make this comfortable home theater recliner yours and just sit back. Made for the ultimate sports fan, impress your buddies with this knockout from Holland Bar Stool. Th.. In Super Bowl X on January 18, 1976, the Pittsburgh Steelers defeated the Dallas Cowboys 21-17, behi.. Looking to set your pool table apart from the others? Look no further than our Covers by HBS logo b..
Machine-Made Tufted. 100% Premium Nylon Pile. Made in the USA! East Carolina 3'10"x5'4" College Repe..
Hall of Famers & Stars 24 Signatures Multi-Signed Official American League Baseball - JSA LOA..
Each plaque comes with a team logo sublimated onto a black plaque. The product is officially license..
You are going to get a Penalty if you do not love this case! Our ultimate 30 puck case has hinged si.. The Row One seating is the ultimate VIP theater designed chair. Its rocker back and padded seat puts.. The XZipit Office Chair 1000 is a must for person who wants to personalize their work space either a.. This wood wall cue rack can conveniently hold up to 8 cue sticks, protecting them from being warped .. The Philadelphia Phillies wall-mountable logo cap display case is made of 1/8"-inch thick acrylic wi.. The Silver Series is a perfect choice for looks, comfort and versatility . It features faux leather ..
Take your favorite team to the pool table. These unique take on the game of 8-Ball is the most fun ..
Each collectible comes with an 8'' x 10'' player image sublimated onto a black plaque.It is official.. This 16'' x 20'' photograph has been personally hand-signed by Matt Moulson. It is officially licens.. This item is a Team Logo counter top refrigerator. This great looking fridge is decorated in team co.. This 16" x 20" photograph has been personally hand-signed by the Philadelphia Phillies Hall of Fame ..
Our durable, high-quality cloth provides an excellent playing surface, allowing you to enjoy your cl..